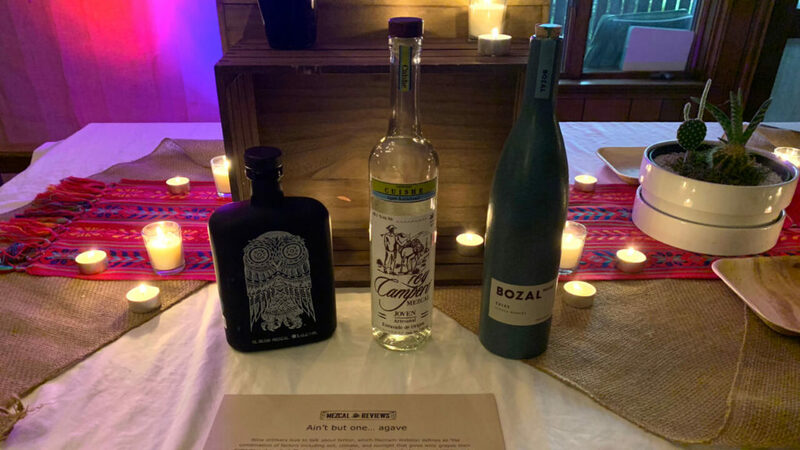 Mezcal Reviews turned two years old in September 2018 so naturally we decided to throw a party to celebrate. Jonny and I dug into our personal mezcal collections and created a tasting of 7 unique flights with 3 mezcals per flight. We wanted it to be a celebration first and a tasting second; we arranged the space so our friends could wander around the party and try flights at their own pace. We also had some amazing homemade Mexican food and 5 cases of bottled water! 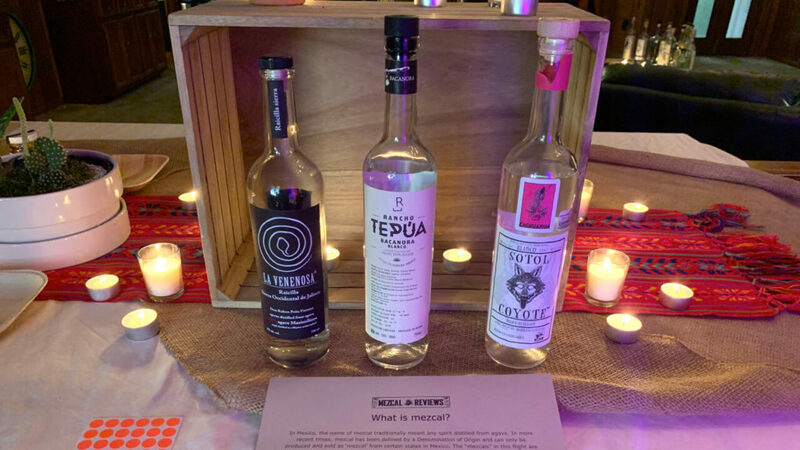 Besides the 21 mezcal bottles dedicated to the flights, there was a “grab bag” table with some extra non-flight bottles (see above image). 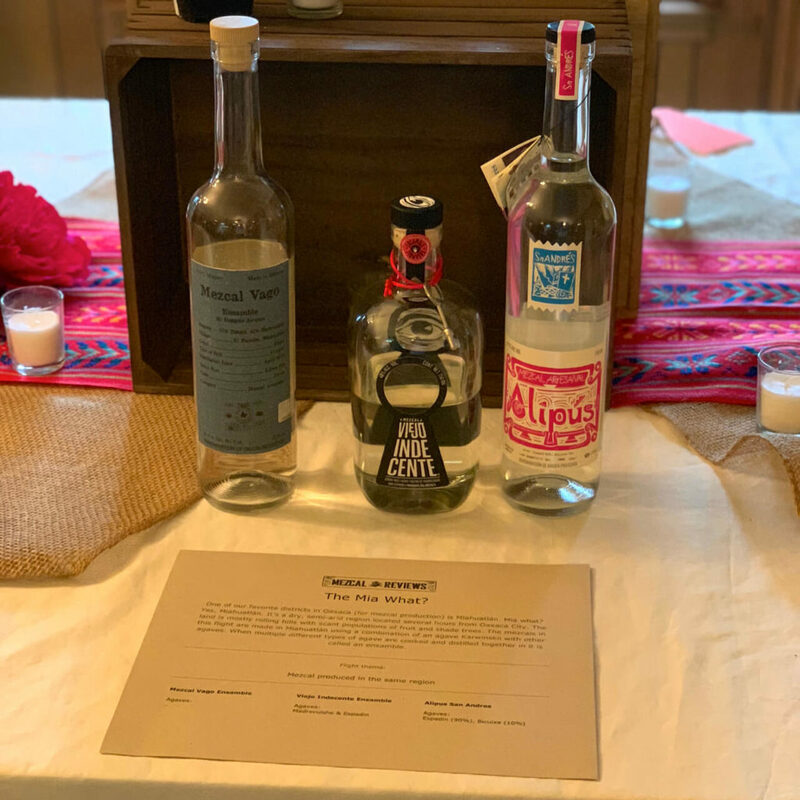 As we prepared for the party, we wanted an easy way to get feedback from our friends about the various mezcals they were tasting. We didn’t really want people glued to their phones during a party. We also thought writing notes could present an obstacle for people, especially mezcal newbies. We created paper sheets with information about each flight but still weren’t sure how to capture feedback. Then Jonny came up with the brilliant idea of simply putting a sticker next to one’s favorite mezcal in the flight. Additionally, if the flight as a whole was a favorite compared to the others, you could put a sticker on top of the paper sheet. There was a total of 93 stickers (votes cast) during the tasting and some the the results were surprising. Mezcal is big business now and is reported to be 10% the size of the tequila market (which is enormous). With big business comes celebrity spirits. These mezcals are just a few of the celebrity mezcals on the market today. 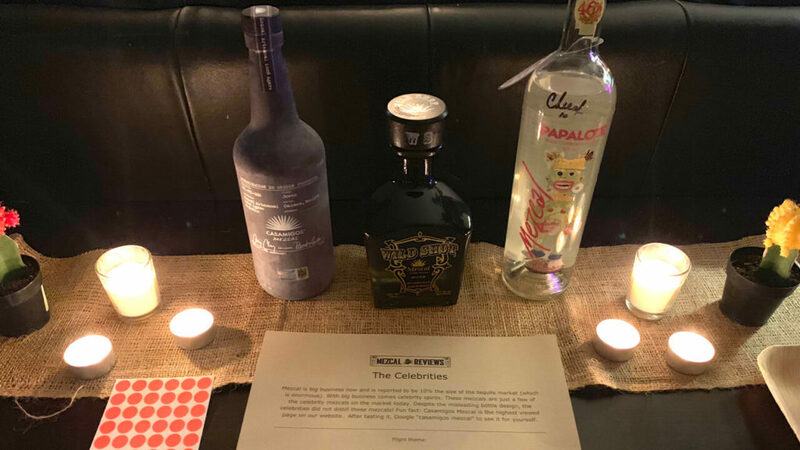 Despite the misleading bottle design, the celebrities did not distill these mezcals! Wine drinkers love to talk about terroir, which Merriam-Webster defines as ‘the combination of factors including soil, climate, and sunlight that gives wine grapes their distinctive character’. That same concept of terroir can be applied to mezcal. While a wine grape may absorb the terroir of the region for 9-10 months, certain types of agave sit in the ground, absorbing the terroir of the region, for upwards of 20-25 years. In Mexico, the term mezcal traditionally meant any spirit distilled from agave. In more recent times, mezcal has been defined by a Denomination of Origin and can only be produced and sold as ‘mezcal’ from certain states in Mexico. The “mezcals” in this flight are produced outside of the DO and are essentially mezcal but with different names like Raicilla and Bacanora. Sotol is an exception because it is not distilled from agave, but a plant called Dasylirion. Most mezcal is distilled in copper pot stills but this flight features some of the best mezcal that is distilled in small clay pots. 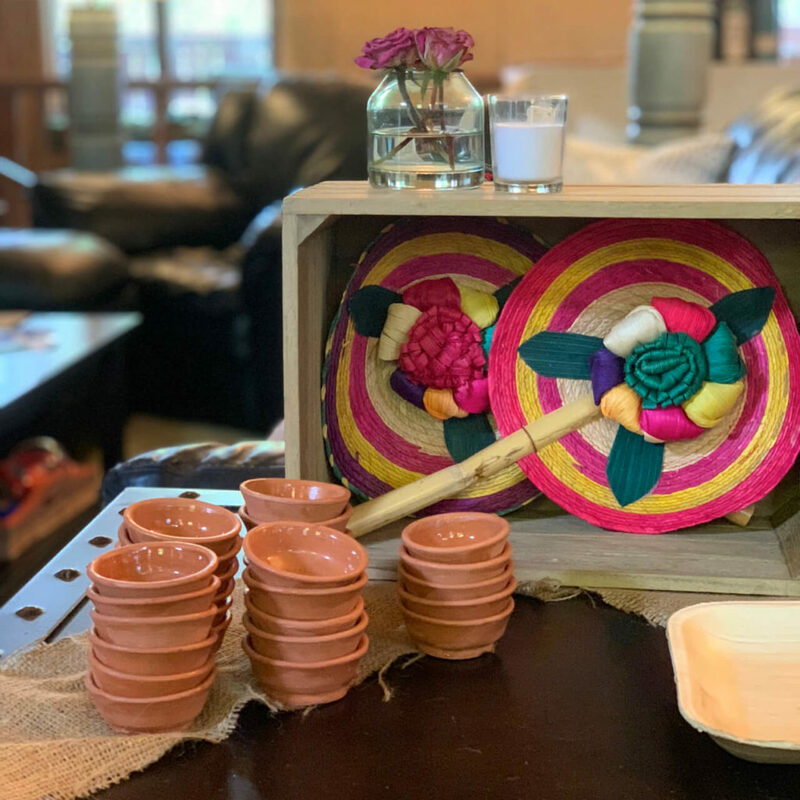 Due to the incredibly small size of the clay pots, and their tendency to break often, clay pot distilled mezcals are typically extremely small batches in comparison to other liquors or even other mezcal. The name Pechuga (meaning breast in Spanish) is given to certain mezcals when they use a chicken breast or other types of meat as part of the distillation process. After the first or second distillation (when most mezcal is finished distilling), the mezcalero adds handfuls of raw fruit and spices to the still along with a raw chicken breast that is hung in the top of the still. As the mezcal, fruit, and spices distill together, the vapors encompass the raw chicken breast. 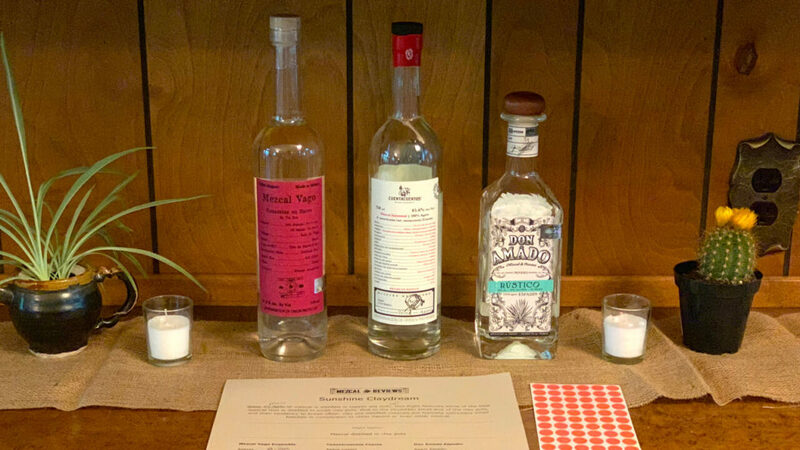 All of these elements create complimentary flavors to these mezcals that are typically imbibed during a quinceañera, wedding, or other celebratory time. The majority of mezcal you see in a bar (or at Tyler or Jonny’s houses) comes from the Mexican state of Oaxaca. 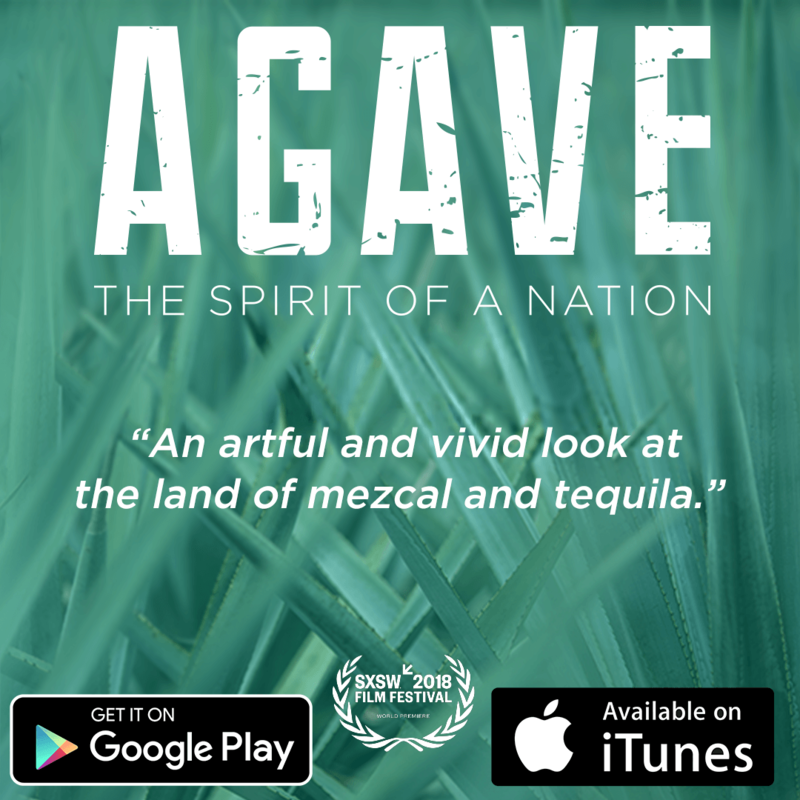 While Oaxaca is by far the most well developed in terms of mezcal production and export, the art of distilling agave has been practiced in other regions of Mexico for centuries. These states have different landscapes that can taste, smell, and feel entirely different from something made with Oaxaca. 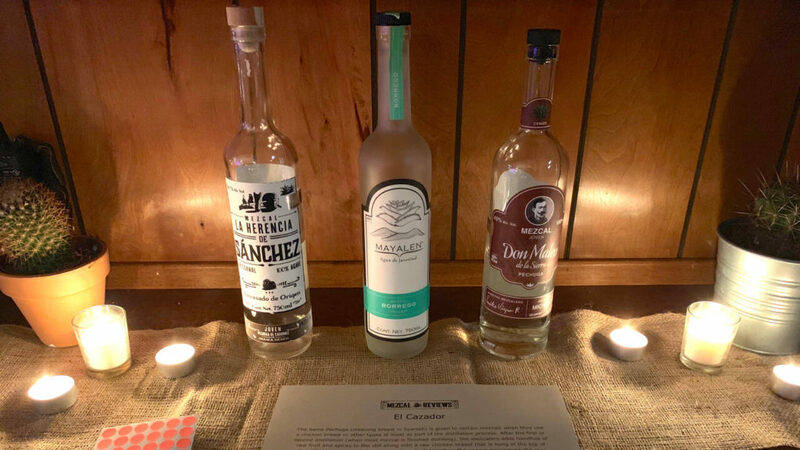 The Traveller flight features some of the more unique mezcals that come from different regions of Mexico. One of our favorite districts in Oaxaca (for mezcal production) is Miahuatlán. Mia what? Yes, Miahuatlán. It’s a dry, semi-arid region located several hours from Oaxaca City. The land is mostly rolling hills with scant populations of fruit and shade trees. 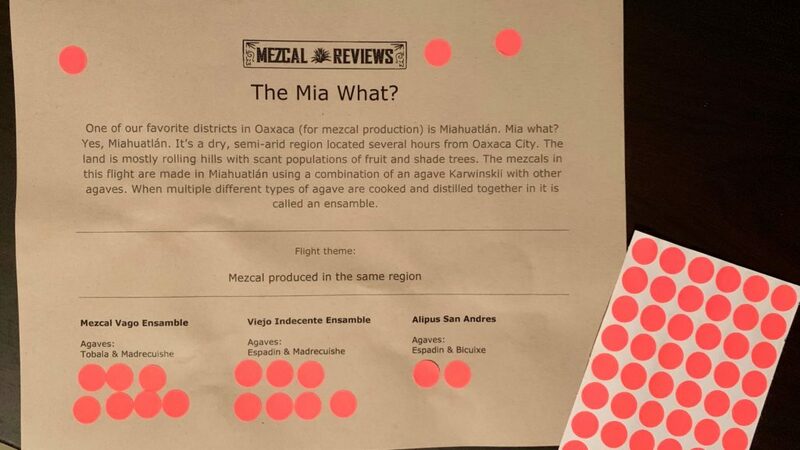 The mezcals in this flight are made in Miahuatlán using a combination of an agave Karwinskii with other agaves. When multiple different types of agave are cooked and distilled together in it is called an ensamble. It’s worth noting that Jonny and I could not have pulled off such a successful night without the help of some generous friends who let us use their home for the party. Their decorating skills elevated the event to the next level and made us look extra classy. The lights were dimmed and the space was warmed by candlelight. The vibe promoted responsible drinking too – we sipped a decent amount of mezcal but we also polished off over 4 cases of bottled water and wrapped up the party around midnight. What did the voting system tell us? Wild Shot is not repulsive. The Toby Keith endorsed mezcal has a worm in the bottle, is labeled as ‘green’ agave, and is preferred over Casamigos! Let that sink in. Rey Campero Cuishe was an overall top-voted mezcal and dominated the Agave Cuishe flight. Rey Campero is very popular for good reason; people new to mezcal in particular like Rey Campero because it is not overly smoked. Don Amado Espadin/Rustico was not a hit among the clay-distilled mezcals. 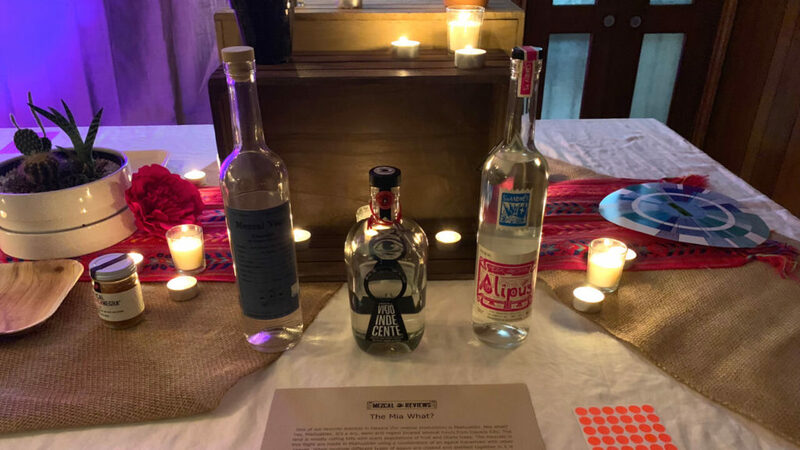 The brand hails from Santa Catarina Minas but their Espadin doesn’t quite stack up next to other excellent Espadin mezcals from the region (ex. Real Minero). Their pechuga however, is well received. The affordable and lower ABV Reyes y Cobardes Durango mezcal was a favorite of the non-Oaxacan mezcal flight. That surprised us – both of the other mezcals in the flight are quite good. Miahuatlan mezcals dominated the night and that wasn’t too shocking. It was sad to see Alipus San Andres get so few votes but it was a bit unfair to put it up against the other two outstanding mezcals which are twice the cost. 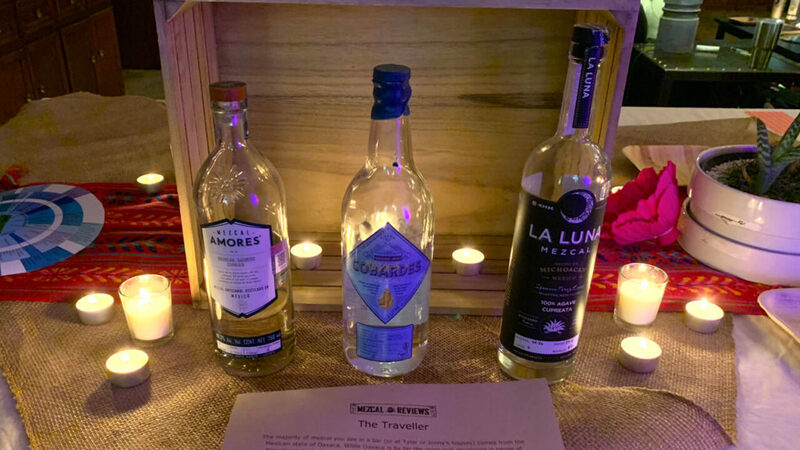 If you enjoyed this post, check out our 2016 blog Launch Party Mezcal Tasting which had 5 flights with 3 mezcals each. What kind of tasting will we do in 2019? Follow us on social media or join our newsletter to find out.